Denny is part of the Chien J. Wang Collection designed by international designer Chien J. Wang. 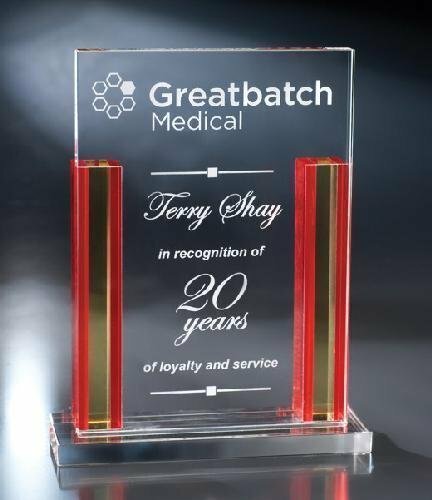 Using all vertical lines, this award combines red and amber crystal to draw lots of attention. Plenty of open space for imprinting your logo and message.